Leaving the glamorous Boca Raton lifestyle behind wasn't easy for Boca-born Harriet Horowitz. But when she'd asked her physically abusive husband to make her day -- he'd agreed (in front of 500 people) -- and Harriet became single (a widow). Though it had been a clear-cut case of self-defense, she lost everything...yet wound up finding more. 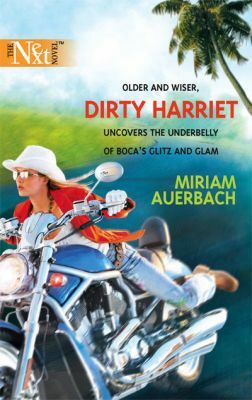 Her crash from the heights of society led her to a home in the desolate, haunting Everglades, a job as a private investigator and a new identity as tough cookie Dirty Harriet.